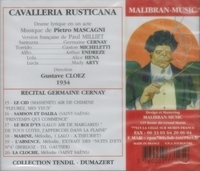 “Cernay made her début at the Opéra-Comique in Paris on 16 May 1927 as la Bossue in the Paris premiere of Alfano’s RISURREZIONE (in French). Other creations at the Salle Favart were Floriane in ÉROS VAINQUEUR (de Bréville), la Tour in LE FOU DE LA DAME (Delannoy), a fairy in RIQUET A LA HOUPPE (Hue), and Léonor in LE SICILIEN (Letorey). Her other principal roles at the Opéra-Comique included Sélysette (ARIANE ET BARBE-BLEUE), a sister (BÉATRICE), Gertrude (LE ROI DAGOBERT), la fantôme (LES CONTES D'HOFFMANN), Mallika (LAKMÉ), Javotte (MANON), title role in MIGNON, Souzouki (MADAMA BUTTERFLY), Vincenette/Taven (MIREILLE), Geneviève (PELLÉAS ET MÉLISANDE), Cléone (PÉNÉLOPE), Charlotte (WERTHER) and one of the voices in MASQUES ET BERGAMASQUES. She was invited to many provincial centres in France and also appeared in North Africa, Switzerland, Belgium, England, Ireland and Italy. 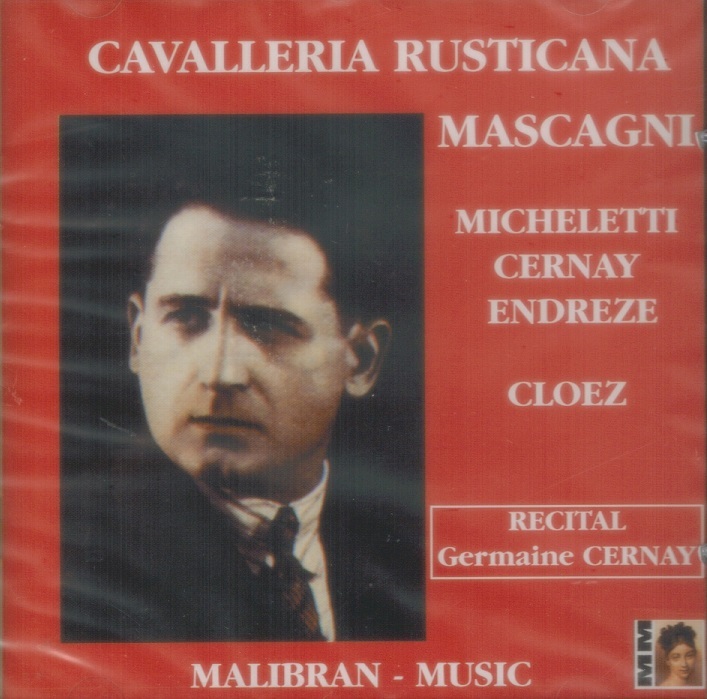 Broadcasting on French radio allowed Cernay to enlarge her repertoire to roles in CARMEN, LE ROI D’YS, LE CHEMINEAU, LA DAMNATION DE FAUST, DON QUICHOTTE and LA LÉPREUSE. 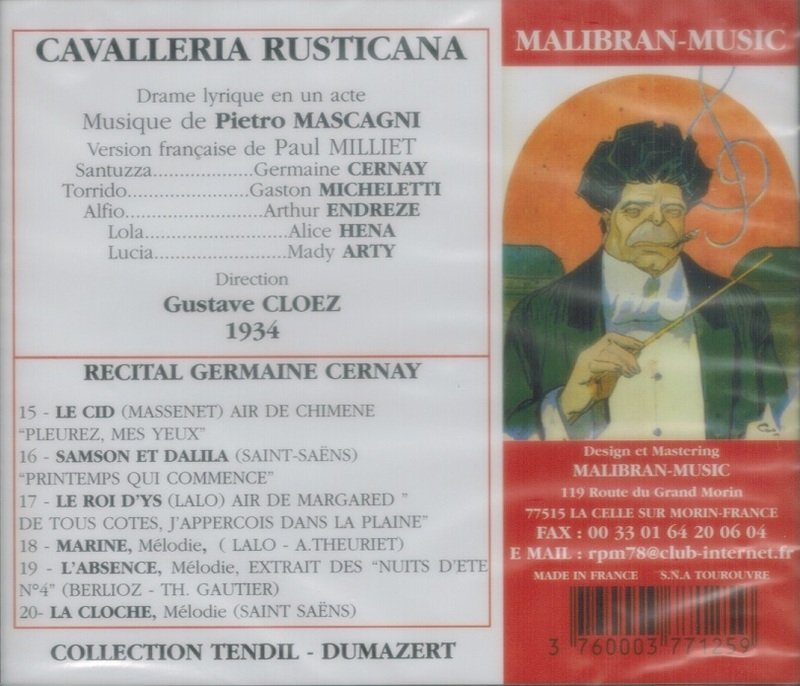 She also sang in the first performance of surviving fragments of Chabrier's VAUCOCHARD ET FILS on 22 April 1941 at the Salle du Conservatoire. Cernay was one of best-known concert altos of her generation and highly considered as a Bach interpreter. She appeared regularly with the Orchestre de la Societé des Concerts du Conservatoire from 1931 to 1942. Her first and last appearances with the orchestra were as alto soloist in the Bach MAGNIFICAT, and in 1936 she sang in two performances of the Mass in b minor. She retired in 1942 to become a nun. A year later she died of status epilepticus."